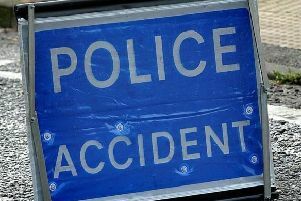 A man was taken to hospital after a car he was in left a road in Rustington and crashed down an embankment and into some trees last night, police said. The A259 at Rustington was closed for around four hours on Wednesday, July 27, following the crash, which happened just before 9pm. Emergency services were called to the scene between the Body Shop and golf course roundabouts at 8.41pm. A Sussex Police spokesman said two men were in a Mini travelling westbound which appeared to have left the road, crossing the eastbound carriageway into some trees. Both men are understood to have been treated by paramedics, with one of the occupants taken to hospital with head and shoulder injuries. Police, the fire and ambulance service all attended. The road was fully reopened at around 1.30am.